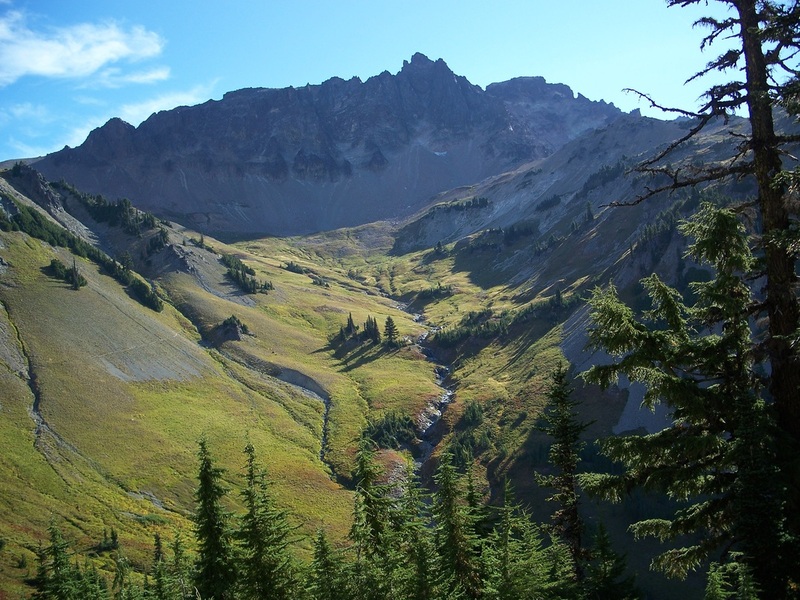 This is a mostly loop hike to Cispus Pass and Goat Lake in the Goat Rocks Wilderness. The first few miles of this trip proceed up through the forest, with glimpses of the Goat Rocks. 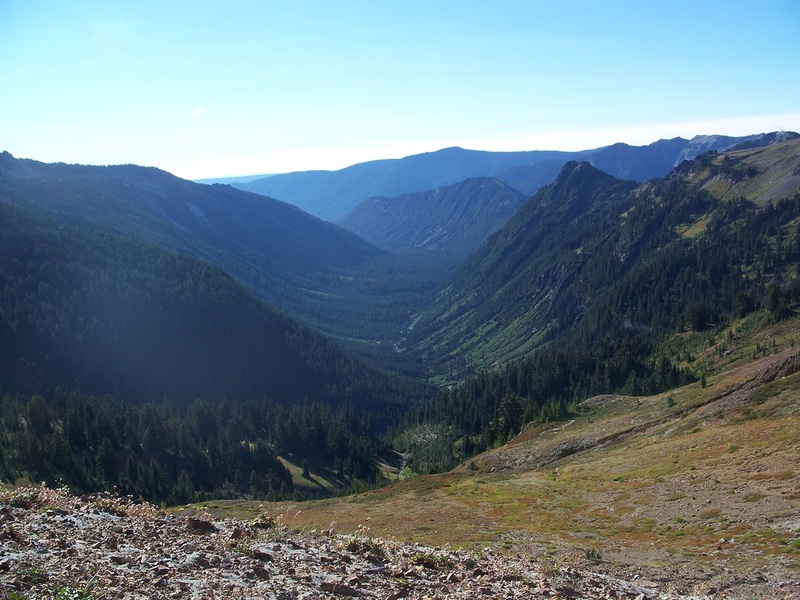 Prior to Snowgrass Flats, head east, past a popular camping area, to the Pacific Crest Trail. Once on the PCT, it is a short distance to the extraordinary Cispus Basin. Proceed around this remarkable basin, reaching the 6,400' Cispus Pass. This is the turnaround point; pause here to gaze at the headwaters of the Klickitat River, and a Native American trailway from years ago. 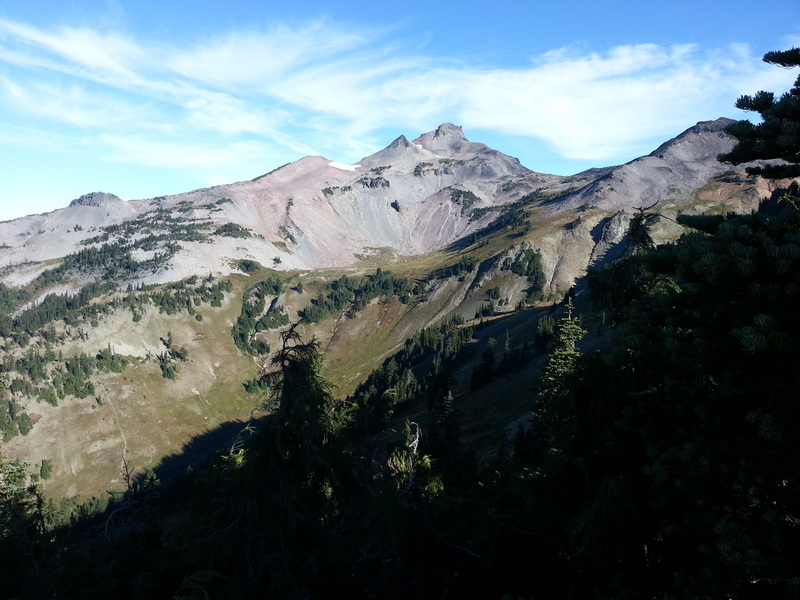 The southern end of the Goat Rocks rise over the area. Backtrack through Cispus Basin for a second viewing that the landscape deserves, heading up the PCT before dropping down to Snowgrass Flats. Make the awesome, sweeping loop past Goat Lake, with Mt. Adams dominating the southern skyline. This area is extremely popular, but with basins, passes, ridges, lakes and more, it is what a (weekday) 'hike experience' is all about. Can be a day trip, but there are various camping options as noted on the trail map. Going above the PCT in Cispus Basin is also a possibility; if this is your thing, find a game trail to do your part in preserving the area. Best done during the week, late summer through early fall. Northwest Forest Pass required for Berry Patch trailhead, but not Snowgrass trailhead.